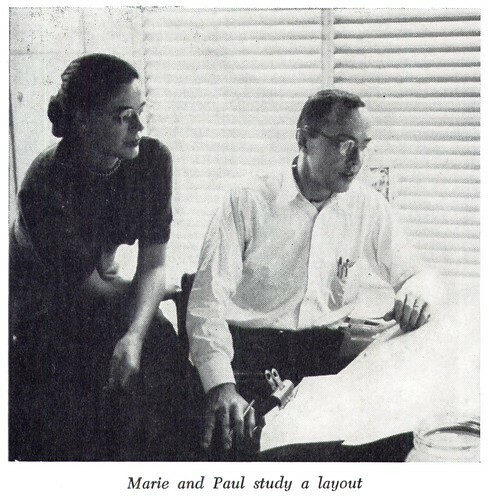 "Paul and Marie Nonnast are two accomplished illustrators who have in common a great pride of craft," writes Henry C. Pitz in the May 1957 issue of American Artist magazine. What a nice surprise to discover another illustration couple. Initially I had thought that Naiad and Walter Einsel and the Provensens were the only illustrators married to illustrators. Apparently not so. Unlike those other two couples though, the Nonnasts did not collaborate on their artwork. Pitz writes, "They have separate studios in their high-ceilinged, brick Victorian house on one of the older, shaded streets of Doylestown, Pennsylvania." "Marie has a love of animals and the ability to draw them as living creatures. Her technique is firm but fluent. Many of her best animal drawings have appeared in Holiday magazine, and on the color jackets of various animal books." 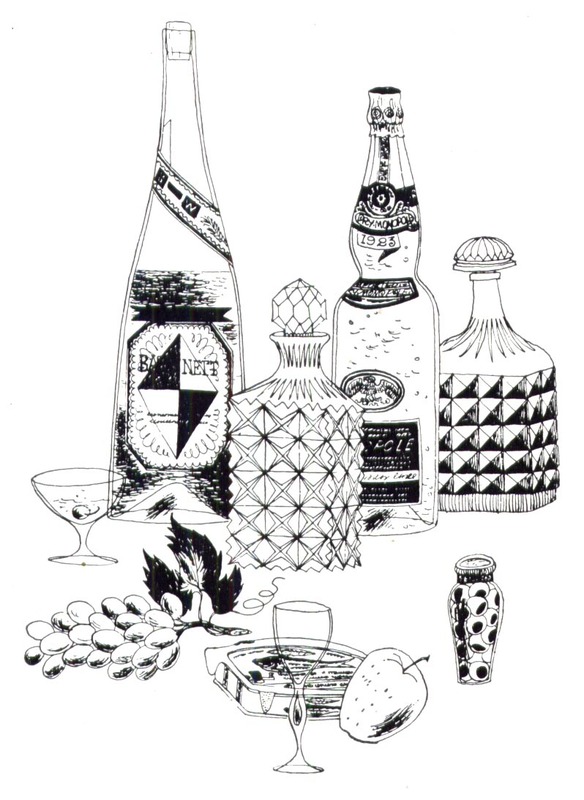 "Besides the the books and the drawings for Holiday, there have been pictures for Farm Journal, Country Gentleman, and Sports Afield." 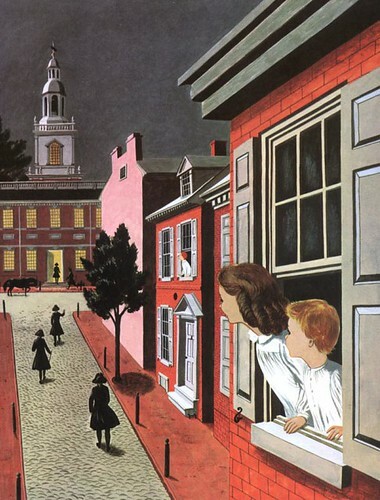 "At the Seventeenth Annual Exhibition of the Philadelphia Art Directors Society both Paul and Marie received awards. This was well-deserved recognition for two fine talents that have maintained a high standard of excellence in their work. Neither is easily satisfied nor do they shirk hard work and the chores of preparation. They have the deep satisfactions that come to all who are able to excercise their natural gifts and the pleasure of working together with mutual respect for the other's individual abilities." My Paul and Marie Nonnast Flickr set. "What a nice surprise to discover another illustration couple. Initially I had thought that Naiad and Walter Einsel and the Provensens were the only illustrators married to illustrators. " You got me, Les... I always forget the Dillons, even tho' I've known about them for years longer than these others. My bad. lol-- The Dillons were the only ones I knew about, so don't feel so bad, Leif! It's interesting to read about the others. 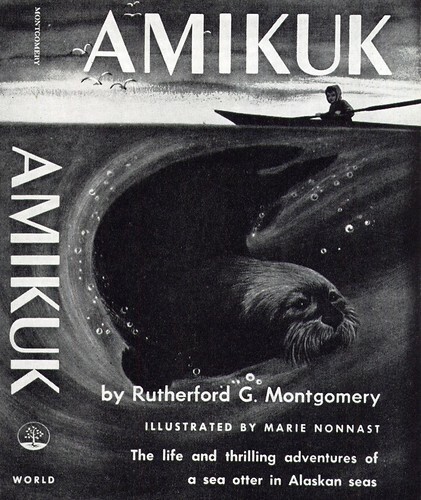 AMIKUK- Angle of Seal is repeated in the angle of the oar, as they are connected by the flow of the Seal's body curve. 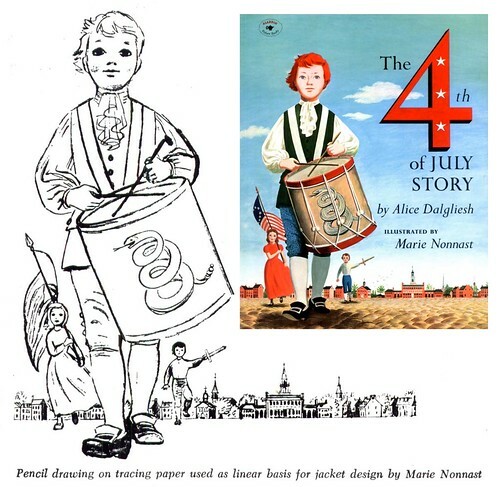 The 4th of July Story- The left side of the number 4, points to the woman in a red of a similar color, and triangulates with the horizon line. The centerline of the drummer, meets the horizon line, and from this point a triangulation occurs with the flag staff and the kids outstretched arm and sword. The positioning and size ratios of the 4 and the other elements in the composition, hold it all together. That street scene by Marie looks somewhat eerie. It's strange how associations happen: this one reminds me of the surrealist work by Paul Delvaux.